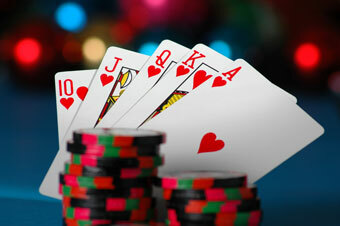 A casino tour with your favorite friends and family can be a very enjoyable and memorable occasion. Raleigh has a variety of casinos an hour to two hours away, not to mention Casino Party Aces, located in the heart of Raleigh. When planning a casino trip, a limousine or party bus is the ideal way to travel to your choice casino. Raleigh Limousine and Party Bus Rentals offers a variety of vehicles that will fit your group size from 2 to 56 passengers. The best way to enjoy your trip to the casino or casinos of your choice is to have someone do the driving for you, as you enjoy the amenities inside our luxury vehicles. Our company prides itself in its ability to bring its clients to their desired casino in style and comfort as they enjoy everything we have to offer from stereo systems, TV’s, custom decor, snack bars, and beverage and cocktail bars. Our company provides transportation services to the casino that fit the needs of the number of passengers you are planning to travel with, as well as the amenities that are desired to fit the style of drive you desire on your way to the casino. 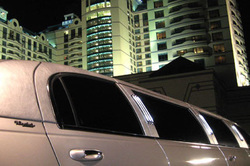 Specific travel needs will be taken into account in regards to guests being individually escorted from their private residence or from a unanimous desired meeting location to the casino. Because our priority is our guests’ punctuality, an itinerary will be followed by the client’s chauffeur, and all time requests will be honored. Any changes in traffic will be managed through alternate route changes and every effort will be made to ensure our guests arrive on time to their desired destination with promptness, comfort and ease. Whether you choose to gamble at our local casino here in Raleigh or Lucky 777’s in Greensboro, Raleigh Limousine and Party Bus Rentals will make your occasion even more enjoyable because of the affordable luxury we have to offer our clients along the way to their casinos. Special requests can be made in accordance with music preferences, as well as TV. Some of our clients enjoy dance floors and poles, custom lighting, drink bars, lasers and even smoke machines. The possibilities are endless, and it is our desire to fit your every need for your casino tour! The best part about our casino tour limousine and party bus packages is that they are affordable, allowing you to spend more money on your casino tour. Because we have such a great fleet of options, it is easy to accommodate just the right amount of people for your occasion, while meeting all of your vehicle preferences. Our Raleigh Wine Tour Limousine and Party Bus Rental vehicles are all licensed, insured and meticulously maintained, ensuring your comfortability and security for the trip. In booking a limo or party bus, any trip specifications will assist our company in providing the very best experience for you and your guests. Let us take care of chauffeuring you and your guests on your tour by filling out the form at the top right hand of the screen. We will return your call promptly to give you the best and most memorable casino trip with our top of the line limousine and party bus rental services! Call and book your casino limo or party bus Tour Today & get the best deals in town!